Signed and dated l.r., brown oil "FRANK P MAHONY/ 1889". 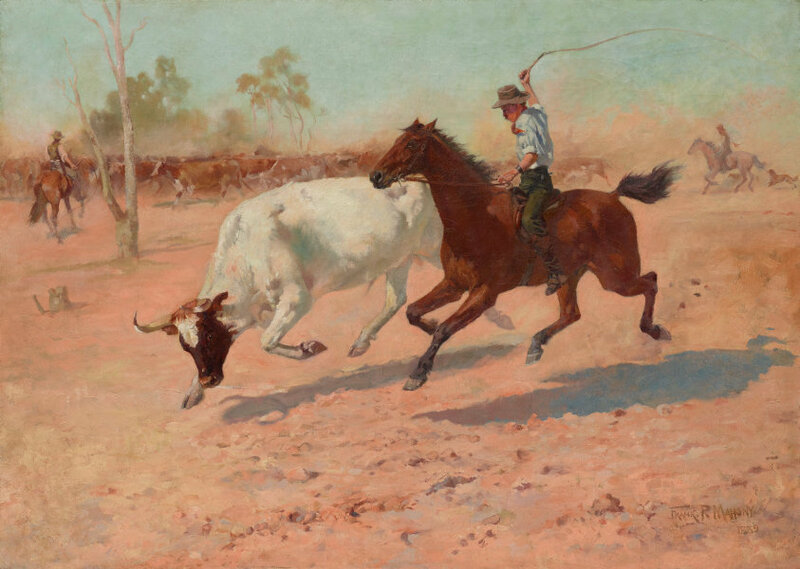 Nicolas Brasch, Horses in Australia: an illustrated history , 'The breed for every need', pg. 204-225, Sydney, 2014, 206-207 (colour illus.). 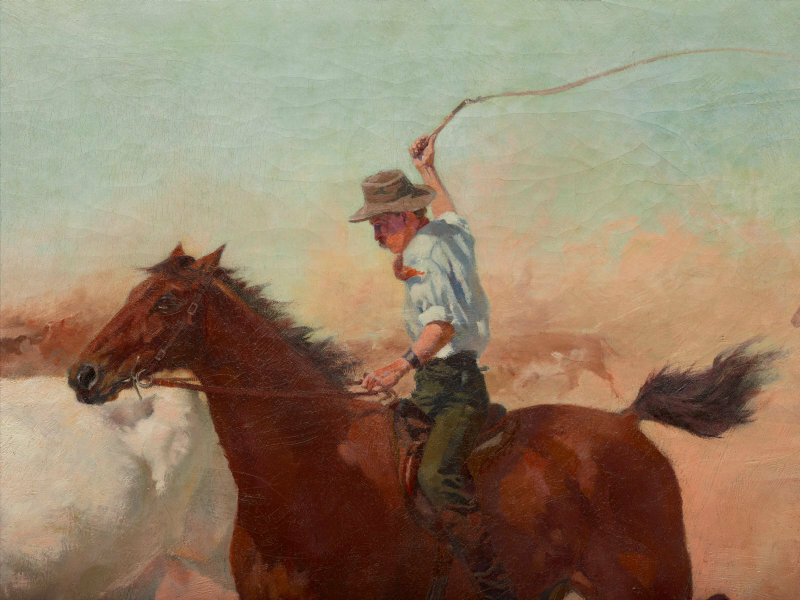 Evan McHugh, The stockmen: the making of an Australian legend , 'The first cattle king', pg. 25-36, Melbourne, 2013, 24 (colour illus. ), 25 (colour illus. ), 27. William Moore, The story of Australian art from the earliest known art of the continent to the art of today (Vol. 1) , 'National life', pg. 122-152, Sydney, 1934, 147 (illus.). Daniel Thomas, Art Gallery of New South Wales Quarterly , 'Tom Roberts', pg. 466-487, Sydney, Jul 1969, 472. 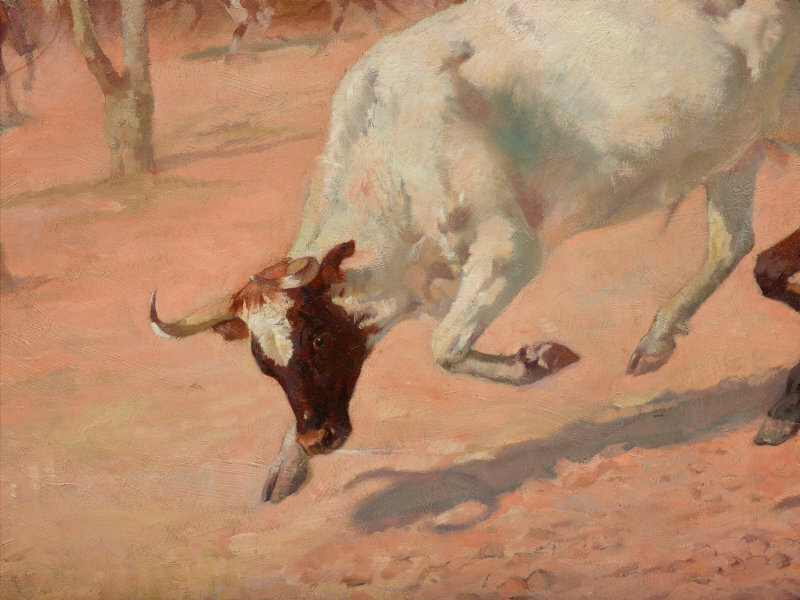 Fifty years of Australian art 1879-1929 , New South Wales, 1929, 51. Tom Roberts , Melbourne, 1978, 86. The Sydney morning herald , 'Death of Frank Mahony', pg. 8, Sydney, 15 Aug 1916, 8. Favourite poems , Sydney, 1992, 9 (illus.). A catalogue of Australian oil paintings in the National Art Gallery of New South Wales 1875-1952 , Sydney, 1953, 136. Now came still evening on , Sydney, 1941, 98. 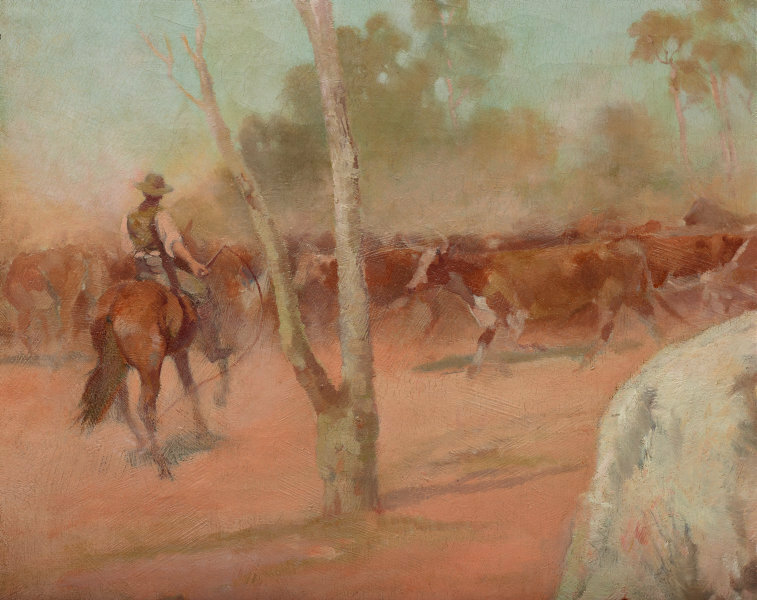 Transformations in Australian art: The nineteenth century - landscape, colony and nation [Volume One] , 'The divided meaning of 'Shearing the Rams': artists and nationalism, 1888-1895', pg. 66-106, St Leonards, 2002, 79, 96, 106. 19th century Australian watercolours, drawing and pastels from the Gallery's collection , Sydney, 2005, 95 (colour illus.). Tales of Old Australia Australian Classic Literature , New South Wales, cover ( illus. ).